You can cancel your Club Account at any time. NOTE: You must cancel your Club Account before it renews for a subsequent month, in order to avoid being charged for the next months Club fee. If you cancel your Club Card benefits, the cancelation will become effective at the end of the current monthly Club fee. There is no refund for Eyelash Extensions. We can provide the proper care to take your lashes off, if you wish to do so. Eyelash removal is free if you are part of the Club. A full charge for services will apply for Non Club Clients. 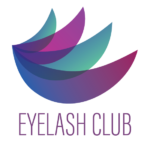 Click Here To schedule an Eyelash Removal. Refunds will not be provided for any Club Client. We do not provide credit, refunds, or prorated billing for Club Client’s accounts that are canceled mid-month. In such a circumstance, you will continue to have acces to your Club Client account until the end of the monthy billing cycle.